You will often hear that this is a black-eye on the face of the United States. You will often also, as a corollary, read and hear such things as Why Healthy People Should Subsidize the Sick, and in such discussions, you’ll read or hear that single-payer is frequently opposed because it “forces” people to be humane. The word “forces” will often be in scare quotes. No caring or compassionate person — which is to say, most people — wants to be thought of as “inhumane,” and that’s how you know that this sort of talk is a tactic: a type of propaganda. Don’t be bullied. Don’t be duped. I will show you that even if they don’t intend to, the people who advocate any kind of force, even for ostensibly humane ends, are in actuality perpetuating much greater suffering for all people involved. The only way to truly solve the healthcare crisis that plagues the world is through a policy of no force whatsoever. First, last, and always, nobody has the right to the life and labor of any other human being — and this includes the life and labor of any and all doctors. It is true that despite the mighty push and the stupefying corruption involved in that push, America does not yet have universal healthcare — and it is a very, very good thing for the sake of the entire world that America does not. In every country that has it — even those listed as the best: France, Japan, Canada, so on — healthcare is perpetually out of money. They all operate in the red. This is a fact. They operate at a loss — just as Medicare and Medicaid do in America, and for the same reasons. They are in debt, and that debt grows deeper and deeper and deeper, endlessly. But that’s okay, people will reply, because healthcare should not be for profit. Things cost money to produce and to make and to manufacture and to do. Whether it’s aspirin and antibiotics, or beds or oxygen tanks and tubes, or MRI machines and computers, or an almost endless number of other things besides — it costs money to produce. These hard-working people, then, because it’s bourgeois and vulgar to regard healthcare as something at which you make money, they must therefore get other work so that they might put better food on their tables and support their families in a higher-quality way, and have money to travel and for leisure and everything else, like the rest of us? In other words, the argument goes, in one of the most demanding and specialized industries there is — healthcare — people should by definition not be able to support themselves by their work as a open-market would determine, because for-profit medicine is “bourgeois and inhumane,” and so the people who spend years and years gaining the knowledge and the expertise required to practice it, they must not be allowed to support themselves by means of it, and so they must work two jobs (at least). I hope you can see how ridiculous this is. It’s precisely why in all countries with universal healthcare — i.e. all developed countries except America — doctor shortages, especially the most accomplished specialists, are a very serious problem. In all countries with universal healthcare, staff and medical personnel shortages are a constant issue. This is one of the reasons that when somebody like Canadian politician Belinda Stronich — who is a good friend of Hilary and Bill Clinton and who, like them, totally supports universal healthcare — when she’s stricken with cancer, she does not opt to be treated in Canada but instead comes to the United States. And then there’s Hugo Chavez. It’s also part of the reason that free market principles are being quietly introduced into many systems of universal care — to save them from collapsing — though they don’t want you to know this. It’s also why MRI machines are abundant and no problem in, for example, veterinarian clinics in places with universal healthcare for humans, whereas in hospitals and other places of care for humans, you must often wait and wait and wait for access to (often life-saving) MRI tests: because universal care creates so many OTHER shortages beyond doctors, nurses, and other staff. 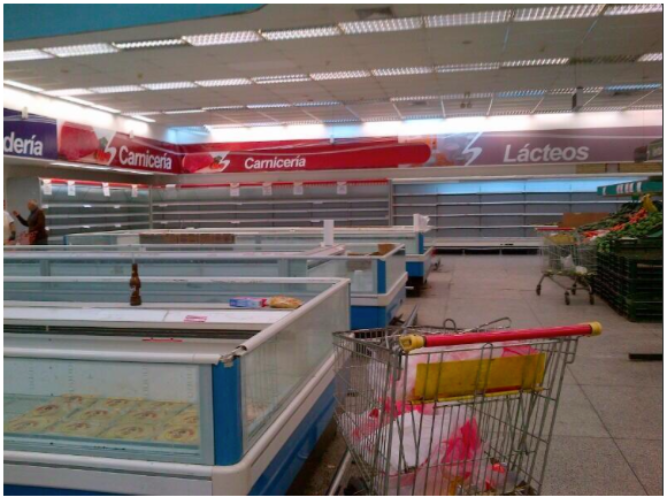 These endless shortages are the result of still more Marxist economic naïveté. As mentioned, one of those measures is cost controls. In all places with universal healthcare, strict cost-controls are implemented and constantly added — by a gigantic bureau of planners — which is why in such systems the average amount of time doctors spend with patients is limited: in Japan, which is often regarded as one of the best universal healthcare examples in the world, the average doctor-patient time is less than five minutes! This bureaucracy also by definition mushrooms into endless permutations and red-tape, and among the many ramifications of this — please listen — America, which because of the profit-motive leads the world overall in medical technologies, innovations, and medicines, subsidizes the entire world because of the policy of universal healthcare. In other words, you’ll often hear, for example, how inexpensive the same drugs are in places with universal healthcare compared with America. And this is true: they often are drastically cheaper. But you won’t ever hear why: i.e. that it is precisely because America must pick up the remaining tab for the rest of the world that our costs are more expensive. This is just one of the many ramifications of the cost controls that must be implemented in countries with universal healthcare. Nor will you hear how the bureaucratic monstrosity known as the Food and Drug Administration (FDA) makes it mind-bogglingly complex for new medications to be created and approved — sometimes taking decades — and this as well drives up the cost of medicine and medical care: it drives it up astronomically. It’s also another textbook example of how socialism loathes laissez-faire even while it relies upon it ENTIRELY in order to exist. And it’s also, of course, another textbook example of how government controls and regulations create problems to begin with, and then the “free-market” (that doesn’t actually exist) is the one blamed for these problems so that deeper controls can then be demanded. All the while, it’s only actual laissez-faire principles that can truly fix the problem. Another thing you’ll see in all countries with universal healthcare is healthcare rationing. Rationing is part and parcel of universal healthcare because it’s necessary. They don’t like to call it rationing, of course, and so they use any number of different terms (i.e. “limited funds,” “over-use of medical care”), but no serious person I know of, even those in favor, denies that under conditions of universal care, bureaus ultimately determine who gets what care — including, of course, who lives and dies, as Obama’s medical advisor famously made no secret of. As the Alfie Evans case recently demonstrated to the world so starkly and horrifyingly. You may not in theory like “for-profit healthcare,” but under such a system, can you deny that your health is at the very least NOT determined by government or governmental bureaus? You may have other arguments and objections, but you cannot, I don’t think, seriously deny that. 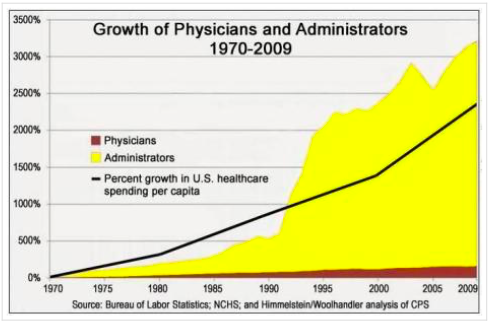 Please remember also: American medicine is already over half socialized, which has created staggering inflations and any number of other insoluble issues. Imagine if food and shelter — both which are even more urgent human needs than medicine — imagine if they were deemed too important to be left to “open-market and unbridled laissez-faire,” and therefore government must provide universal food coverage, food care for all, and shelter for all. This is not purely hypothetical, by the way. It’s exactly the philosophy behind virtually all strains of socialist theory, and it’s how they’ve played out in a number of different countries — ranging from North Korea and Cuba, to the USSR and Pol Pot’s Cambodia and of course Communist China. Under such systems, governmental agents assume control of food production and food distribution and housing, and do you know what happens then? Everything from lack of food diversity to government telling you what you may and may not grow to eat, or cultivate or milk or raise, to starving people waiting hours in breadlines for stale bread and then, after waiting all day in the bitter cold, being told that the bread rationing for the day is done, and so you must leave empty-handed and still starving. Houses old, cold, and crumbling. The exact same is true of medicine. I promise you what I’m telling you is accurate. Perhaps most insidious of all: once such systems are enacted, no matter how dismal and inefficient they actually are, in a very short time, people cannot imagine life without government providing said things. In fact, this is the very situation we’re in with universal healthcare — and it’s the most challenging thing to overcome in demonstrating to people why universal healthcare does not work: the notion has already become so entrenched that people simply cannot conceive government not providing at least some measure of it. Entrenchment is in this way a form of indoctrination. Think of it as dentistry already is in America. Think of it as veterinary medicine already is, and Lasik and other cosmetic procedures. Think of it like your eye-glass-clinic or optometry shop. Now observe the sheer number and variety and quality of vet clinics and dentists and optometrists you have to choose from right now in America — precisely because those industries have been left comparatively free (though it IS significant to note that no industry has been left untouched by the horrid hand of government, and to the precise extent that it’s been meddled with, it is inflated and warped, and would be even less expensive and with better care and more options had it all been left alone). Observe, for instance, how many dental practitioners or orthodontists or optometrists you have to choose from — their payment plans, the ACTUAL insurance you may (or may not: it’s up to each individual) purchase. Observe the generosity and charity of most all providers and clinics. Observe how today in America people are not bleeding from the mouths in the streets for lack of dental care, with nowhere to go. It is not a crisis. Dentists and dental offices are everywhere. Nor are animals in America dying everywhere in the streets for want of veterinary care. Vet clinics (24 hour included) are everywhere. Private organizations and charities are everywhere for pets. Observe how many clinics there are of ALL kinds, walk-in and otherwise: observe how they’ve sprung up under conditions of freedom and the corollary freedom to make money providing these services. You must not allow yourself to be intimidated, bullied, or brainwashed into believing that you’re “inhumane” if you don’t believe in the vague and totally untenable notion of universal care. Allowing full freedom, I absolutely assure you, will bring about far, far, far more care and vastly more compassion than being forced into providing medical care for everyone, and this is not just speculation. It will also instantly abolish all the impossible-to-negotiate red-tape and bureaucracy — including (very significantly) the crony insurance system, as well as everyone’s concern with what her or his neighbors are eating and drinking and smoking since we’re all paying for each other. If you truly want to solve the healthcare crisis — and I mean truly — you must change your thinking about what creates the problems in the first place, and also what the proper solution is. What creates and maintains the best care? To help answer that, I urge you again to think for a moment about dental care, orthodontics, veterinary clinics, Lasik and optometry. If you can get past all the dogma and the propaganda behind the dogma that you’ve been hammered with your entire life, you’ll see that the evidence is overwhelming. At the very minimum, I urge you not to fall for the ridiculing tactics that you’re “inhumane” if you don’t believe in being forced to provide healthcare for everyone else. Such policies, even if they sound good and humane in theory, have dire practical consequences in how they play out: from shortages, to cost controls, to death panels and other rationing measures, to never-ending inflation. The MORE complex a society becomes, the LESS equipped and able centralized-planning committees are to manage that complexity. One of the best illustrations of this — best because it’s demonstrated in such a way that virtually anyone, no matter their political leaning or their level of economic understanding, can see the inherent logic of it — is in how pencils are made. Andy George tried to experience the production of a sandwich from scratch. He made a sandwich by using as little trade and processed products as possible. He had to grow vegetables, produce cheese, make bread, all himself. Of course, he ‘cheated’ a little by using kitchen tools and other ‘capital goods’ which would have been unavailable in a total autarkic economy. But even with this, he spent $1,500 and six months of his life to obtain one sandwich. Today, it costs a few dollars and mere minutes to buy a sandwich in a supermarket. Free trade is precisely what allows us to obtain an ever more optimal division of labor when it is enabled on a large scale. This division of labor allows us to save time while reducing poverty. That, mind you, is one sandwich, and he didn’t, of course, manufacture any of the machines or equipment he needed to make all the ingredients — nor does it even touch upon all the transportation required. Concerning complexity and the impossibility of centralized-planning bureaus able to manage this complexity, there’s also the very closely related and insurmountable calculation problem. Even if you hate economics, a sentiment with which I completely sympathize, I nonetheless believe it is vital that all people — left, right, or middle — grasp this very basic issue, which is not really hard to grasp: economic calculation. It is bedrock. It is a crux. And it is in many ways all that really needs to be said. The more complex any given society, the more impossible it is for any planning committees or bureaus, no matter how brilliant its members, no matter how vast their numbers, to manage for any length of time. Whereas upon the other hand laissez-faire, through its legal recognition of person and full property rights (including the right to trade products and services and to earn money), organizes all this complexity voluntarily, seamlessly, elegantly, peacefully, and in a way beneficial to all. And this is why so-called universal healthcare creates a healthcare system that is in actuality not universal at all — not any more than it is compassionate or humane.